Jon and I were at the UCO Jazz Lab to see Mountain Smoke perform when we heard about Trainfest. Bluegrass had never been on my radar at all until I learned that my friend and Leadership OKC classmate, Roger Mashore, is in a band that plays bluegrass. What I also learned, that evening at the Jazz Lab, was that Mountain Smoke is much more than a band. It’s a group of incredibly talented, kind-hearted, funny and creative musicians. Their genuine spirit draws people in. So when they announced their first ever Trainfest, I was totally on board. Jon and I bought tickets without hesitation and looked forward to Nov. 2nd for a couple of months. Mountain Smoke rocks the Heartland Flyer!! 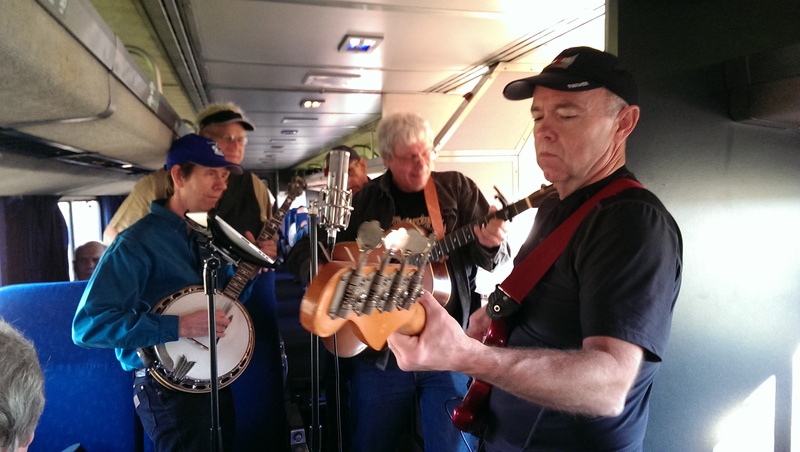 The draw was not only the adventure of taking the Heartland Flyer for the first time and hanging out with Mountain Smoke while they performed on our specially reserved train car, but also the 4-hour window we would have to explore Ft. Worth. What would you do with 4 hours in an unfamiliar city? And when there are countless choices, how do you decide? My eldest daughter wisely suggested that Jon and I each make a list of ideas, share them and pull one or two ideas from each of our lists. My list had three suggestions: visit the Kimbell Art Museum, the Ft. Worth Botanic Garden and Joe T. Garcia’s. I wanted a day with Jon, filled with beauty and culture, including being outdoors And, of course, to check out a new restaurant. To me, that would make for an absolutely perfect day. Jon’s list….well, he didn’t really make a list. 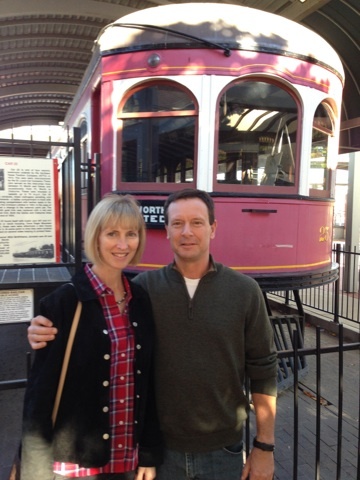 But, he did have an idea — to check out the Ft. Worth Stockyards. Stockyards?? Yeah, no. I can’t see myself hanging in a place with cattle….or barn animals….or manure. Ever. When we first rolled into the Ft. Worth train station, it was around 1 pm, so lunch was priority. We grabbed a taxi and headed for Joe. T. Garcia’s. I had no idea it was such a landmark restaurant with so much history, and I was amazed at the line of people waiting at the entrance for outdoor seating. We opted for indoor and were seated right away. The atmosphere was fun and relaxed. And the chips at our table were better than most other Mexican restaurants I’ve been to, however Jon said the salsa was on the spicy side. 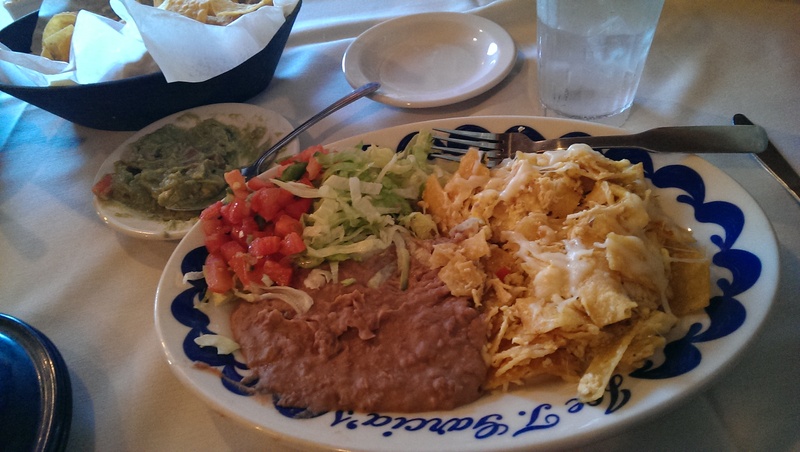 I ordered a breakfast entree – migas – which was a mixture of scrambled eggs, corn tortilla strips and melted cheese with a side of refried beans. The corn tortillas added just the right sweetness to the eggs. My guacamole on the side was definitely homemade and very fresh. Migas with fresh guac – yum!! Jon had a beef and a chicken enchilada, which he finished off quickly. He seemed to like the warm corn tortillas that were also homemade. Although we were full, we still made room for sopapillas that were topped with a generous amount of cinnamon and honey. 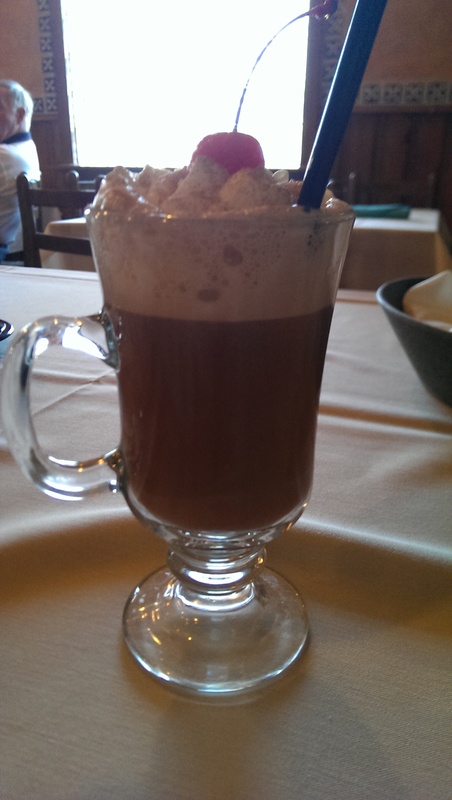 I also had a tall hot chocolate that was wonderful. A nap would have been great at that point, but we had to move on with the rest of our Ft. Worth adventure. The afternoon was awesome, including lots of beauty, culture and even a random outdoor opera festival that Jon discovered (who would’ve thought?). Oh, and we also ran into an impromptu tuba performance inside a ginormous metal sculpture. 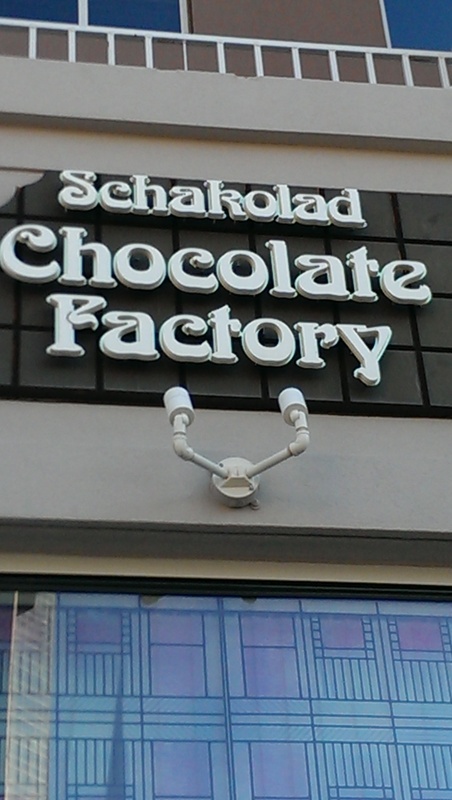 Somehow, Jon’s amazing instincts also led us to a chocolate factory (not the first time he’s taken me to one!) that was right in the heart of downtown. The chocolate at Schakolad was amazing and there was every variety you could possibly imagine. The store was filled with people, which made decision-making challenging simply because it was hard to move around the counters to see everything. But, we still managed to leave the store with two bags of chocolate, including chocolate-covered pretzels to truffles. Jon is an incredible date. He ran with my suggestions and guided me along to even more adventures than I’d ever expected during our time in Ft. Worth, all in just a few hours. As always, we had lots of fun and of course, great food.